A Spreadsheet Can Do That? Think a spreadsheet can only be used to analyze data and create charts and graphs? Think again. Explore different ways a spreadsheet can be used for digital discussions, critical thinking adventures, and other ideas you never knew you needed! Below are some of my favorite Google Sheets activities that use the apps unique features in ways that make learning engaging and fun. Google add-ons let you do more with your Google Docs and Sheets by adding new, useful features such as creating a tab for each student in your class or creating a spreadsheet for collaborative discussions with each topic on its own tab. Most add-ons are created by third-party developers and published to the add-on store. Cells, rows, or columns can be formatted to change text or background color if they meet certain conditions. For example, if they contain a certain word or a number. Click here for a full video tutorial. Google Sheets supports a built-in mechanism called data validation rules. Data validation rules allow you to constrain the values that can be entered into a worksheet cell. You can create a dropdown list inside of any cell. Click here for a full video tutorial. A Google Sheets IF function allows you to use decision making in a worksheet. The If function tests to see if a certain condition in a cell is true or false. You then use cell referencing to pull data from one sheet to the next. Read more about them here and here. Easily turn a Google Spreadsheet into fun activities such as flash cards, quiz shows, bingo, word search games and so much more. Click here for a full video tutorial. When creating a spreadsheet, you frequently find yourself wanting to analyze your data. you can even display your data in the form of a chart or graph. Yesterday, Padlet announced what every educator fears the most…limitations on the free version of their product. Now, users can only make up to 3 Padlet walls for free. I totally get it. Padlet is a company made up of employees with families to support. The freemium business model is not new to the world of educational technology and almost all of the popular services teachers use have limitations. So, why is this announcement so painful? Because online tools such as Padlet, Thinglink, Sutori, Flipgrid and other similar cross-curricular platforms are guiding teachers AWAY from worksheets and TOWARDS implementation of the 4Cs (creativity, collaboration, critical thinking, and communication). Right now, teachers that want to utilize these amazing products end up paying for it out of their own pocket. Let’s not forget they are also paying for paper, glue, poster board, markers, crayons, paper plates, plastic wrap, toothpicks, and everything else that Hobby Lobby carries. What’s going to happen when they have no more money to spend on their students because, at some point, they must use their paychecks to put food on their own table? I can tell you…they will go back to worksheets. Obviously, district and state entities aren’t doing enough because this has been a systemic problem for YEARS. So, what are some things we can do to continue in the direction of educational best practices without going broke? Stop purchasing devices and start purchasing platforms that are cross-curricular in nature and support the use of the 4cs. If a campus spends $700 on a single iPad, it will be obsolete in about 4 years. Apple won’t allow the device to update to the latest operating system, therefore making the apps buggy and eventually useless. Stop buying worksheets on TPT (Teachers Pay Teachers). I guarantee teachers spend more money on that site than they would on a monthly subscription to a quality platform. 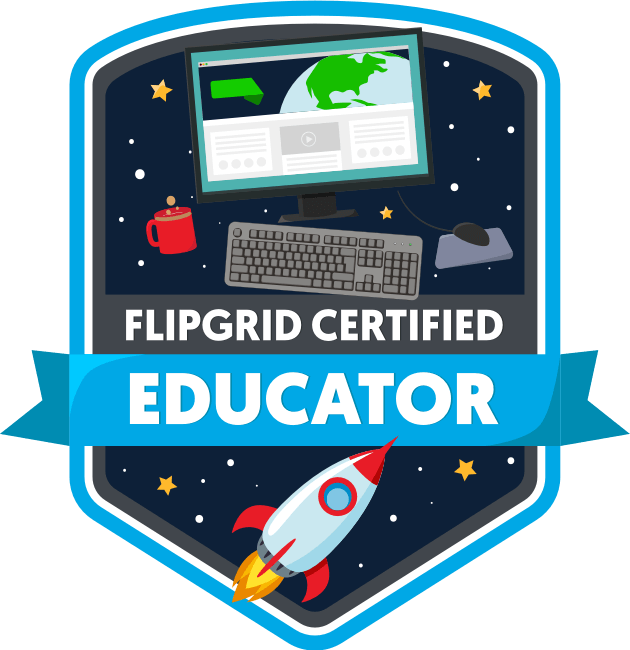 Sometimes platforms offer an educator’s network where you can get your subscription for free if you promote their product and participate in blogs and webinars. Try to mimic what a service does using free tools like Google. Here is a mock “Virtual Board Doc” that simulates some of Padlet’s features. It is by no means fancy pancy, but guess what? IT’S FREE! Go to file>make a copy and modify as needed. 6. Alice Keeler recently posted this Tweet. Genius, of course. Make a copy of this template. Google Earth Voyager is a great way to get lost and quickly lose about 3-4 hours of your day if you’re not careful. 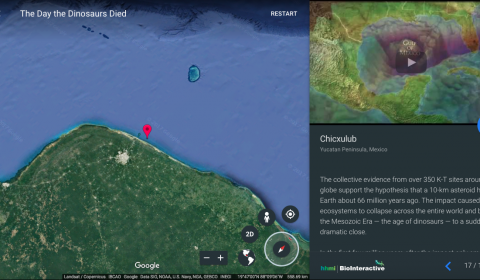 Their partners, including National Geographic, PBS, and The Ocean Agency, have created a collection of map-based stories that’s updated weekly. Topics include travel, culture, nature, history and education. Students can enter a 360 photo sphere of the coral triangle located in Raja Ampat to view an incredibly rich center of biodiversity, or travel back in time to explore the evidence from around the world that finally explained the disappearance of dinosaurs. There are many expeditions to choose from and many are relevant to elementary curriculum. I’ve gathered some of these together on an interactive Thinglink image. Hover over each pin icon to open a Voyager adventure. My favorite one has to be Celebrating Harry Potter. Below is an Explore, Explain, Apply HyperDoc that includes this voyage in the explain section. Click here to make a copy. It’s the little things in life that give me joy and happiness. I don’t know when this feature was released, but I just discovered it this morning. Here are examples and tutorials. My obsession with Alice Keeler is still going strong. I took several of her Go Slow Workshops over the summer and I’m finally ready to share my favorite thing I learned with you. My first introduction to IF functions came in the form of poo. Yes, poo. Alice created an assignment that blew my mind. In this activity, your task is to discover how equations make operations of a farm in Tanzania more efficient. As you progress, personalized directions facilitate the various tasks embedded within the lesson. It makes you feel like the teacher is sitting right next to you, guiding and cheering you on as you learn. Click here to make a copy. 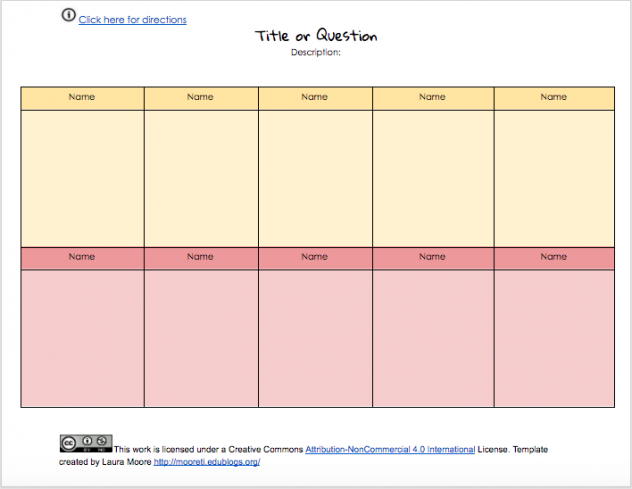 A Google Sheets IF function allows you to use decision making in a worksheet. The IF function tests to see if a certain condition in a cell is true or false. You then use cell referencing to pull data from one sheet to the next. The result is pretty amazing. After we learned the basics, we were tasked with creating an IF function adventure of our own. I chose place value for 2nd grade to be my learning objective. I recorded a video that walks you through the student experience. (Sorry about the dog in the background attacking the UPS guy. She does it out of love.) Click here to make a copy of the lesson. 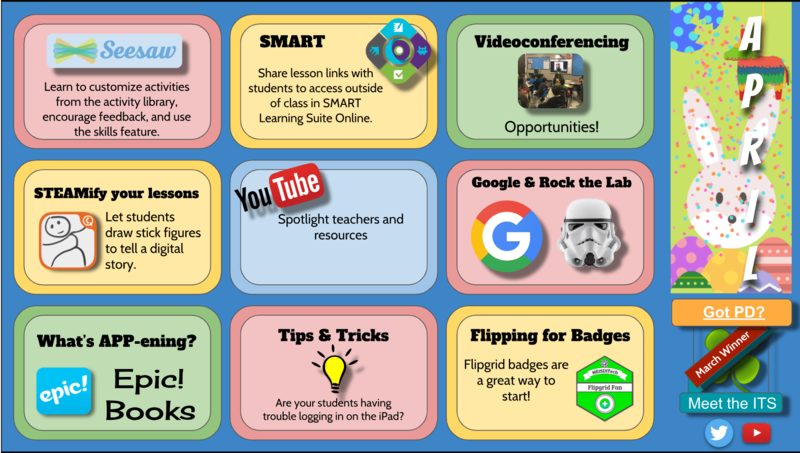 I highly recommend Alice Keeler’s Go Slow Workshops to learn more about using G Suite with students. Find Teacher Tech blog posts and tips at alicekeeler.com. Follow @alicekeeler on Twitter. I don’t know about your district, but our Technology Department won’t let us install anything on a district issued computer. I totally understand why and agree with it…with the exception of fonts. Fonts are the most important thing to an elementary school teacher, except for their students, of course. I recently discovered the Google Fonts page and figured out how we can use them in our district. Below are 2 videos. The first explains how to add and use a Google font add-on called Extensis Fonts, and the second will show you how to download and install Google Fonts to use in a Word Document. I hope this brings you peace and joy. I’m usually not a fan of teaching technology skills in isolation, but lately I’ve noticed students struggling when trying to use Google Apps in the computer lab. 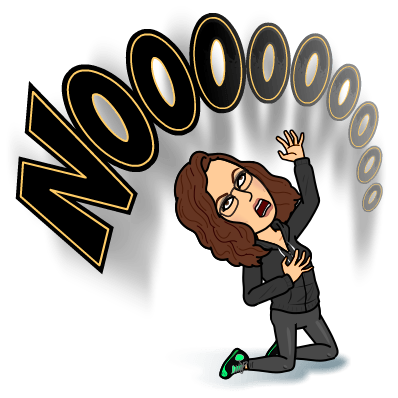 When a project takes twice as long to complete because students don’t know how to manipulate objects on a slide or share a document for peer feedback and collaboration, then technology no longer enhances the learning. It actually gets in the way. Every single lesson you design should have at least 1 of the 4Cs (Read more about Using G Suite to Foster the 4Cs here). The flow of your lesson can come to a dead stop if students aren’t proficient in even the basic skills of navigating G Suite. I’ve been working on a new section of Rock the Lab where students can earn Jedi Lightsaber badges to demonstrate mastery of Google Docs, Slides, Drawings and Sheets. When students click on one of the badges, it will take them to a page where they can choose the K-2 or the 3-5 Lesson. Upon completion, students will share the documents with their teacher. Each page has a link to a Google Form where the teacher of record then fills in the information so students can be sent their badges. For logistics purposes, the badges are only available for NEISD students, however, anyone with the links can access the activities. Feel free to use and modify to fit your needs. 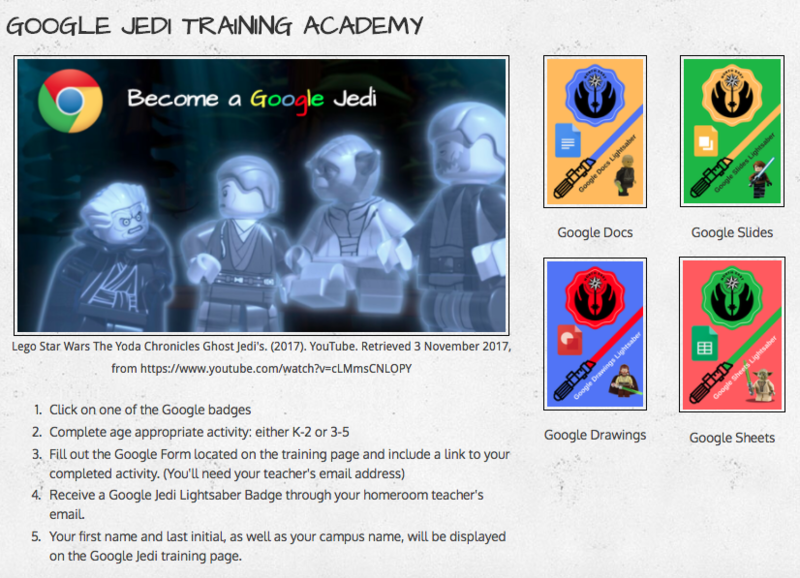 To access the Google Jedi Training Academy, click on the Technology button located on the homepage of Rock the Lab. I highly recommend you preview each activity before you allow students to begin. Directions and gif tutorials are embedded throughout, but be prepared to provide additional support if needed. Taking the time now to teach these skills will allow for more content creation and use of the 4Cs throughout the year. A student’s future teacher will thank you! A couple of weeks ago, I read a blog post about using short Pixar animated videos to teach problem solving written by Speech Pathologist, Sarah Wu. The idea intrigued me because this type of activity forces students to use their own language in order to answer questions and retell events. Summarization is a skill needed in all content areas, not just Language Arts. I think that by not providing a word bank or piece of text that they can refer back to increases the level of critical thinking on the part of the student. You can also take this opportunity to teach them about utilizing online tools such as a thesaurus. KidThesaurus.com is kid friendly and doesn’t fill the screen with a whole bunch of adds. Click here if you would like to make a copy of the lesson. One of my summer projects was to take about a billion Go Slow Workshops facilitated by Alice Keeler. 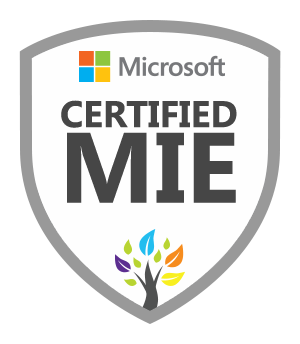 I can honestly say I have learned more over the past few months than I have in my 12 years of being an Instructional Technology Specialist. Some of my classes included Google Classroom, Google Scripts, Google Sheets, DOK and Working Collaboratively with Google Apps. It’s perfect timing because one of our district initiatives this year is to provide students with more opportunities to incorporate the 4Cs within curriculum objectives. I’ve taken the knowledge I’ve learned from Alice and applied it to, what I think, is the best PD I’ve ever offered. It can probably be completed in a 3 hour face to face training, however, it’s really meant to be an asynchronous and self-paced exploration. The curated resources allow for differentiation, so if you are comfortable using G Suite then you can skip over the parts that deal with functionality and navigation. The “meat” of the training is embedded within a Google Classroom so teachers can see the workflow and digital discussions that are such a huge part of a student-centered environment. Unfortunately, our district does not allow people from outside of the NEISD domain to join our classrooms. I decided to wrap it all up in a HyperDoc so you can get a basic idea of how the class works. 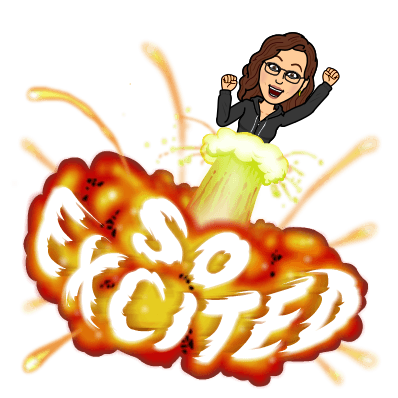 Many of the resources in the Google Classroom come from Alice Keeler, Eric Curts, Christine Pinto, and Nadine Gilkinson. I’ve been Twitter stalking these 4 for quite some time. Click here if you would like a copy of the HyperDoc. Found it. Stole it. Totally sharing it. As with any online tool, change is inevitable, especially with Google. Modifications to platforms are, for the most part, positive even though there might be a slight learning curve for the end user. Google Classroom recently came out with several new features that teachers will love. You can read about them here. One of my goals this summer was to become Google Certified. 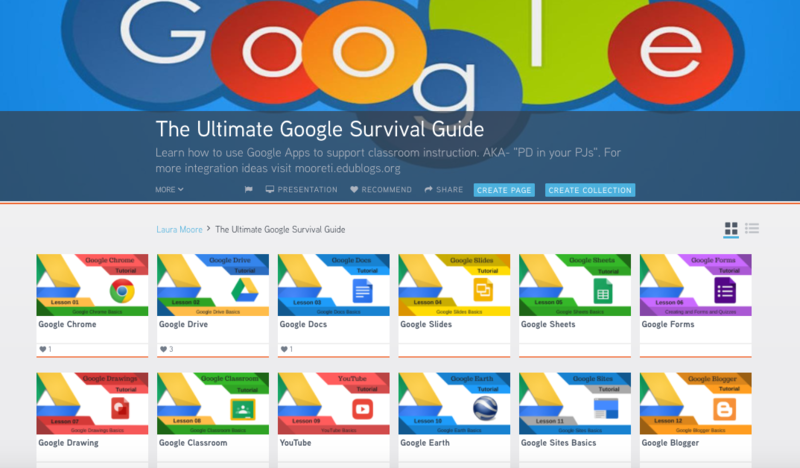 As I was studying for the exam, I realized I hadn’t updated my Ultimate Google Survival Guide in quite a few years, and it needed a huge facelift. It’s more of a curated list of resources from various sites, but hopefully it will keep you from hopping all over the Internet to find the best of the best. Each tool includes tutorials from Hoonuit (login required), Google Training Center, Google Help Center, and links to Google Innovator’s blogs like Alice Keeler, Eric Curts, and Kacey Bell. If you teach Littles, make sure to check out resources from the amazing Christine Pinto. I also wanted include instructional ideas to go along with the video tutorials that demonstrate the basics. 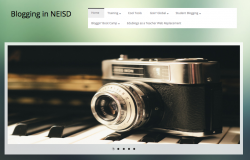 You will find several examples of embedded content like Thinglink or Google Maps that provide ideas for implementation. This is a dynamic resource that I will add to on a regular basis as I discover or create lessons throughout the year. Enjoy! IMO email is a tool. Being able to effectively communicate in a variety of arenas are the basics now. Because of the ability to search the Internet for almost any answer to most test questions, I tend to agree that the new basics are more about the 4 Cs (communication, critical thinking, creativity and collaboration.) All of these skills should be spiraled within the core subject areas. The problem I find, especially for elementary, is coming up with ways to teach email as a form of writing. In our district, students don’t have email accounts in grades K-5. If teachers expect to use this form of communication as a part of the student/teacher workflow process, then students need authentic exposure at a much earlier age. This is why Lisa’s first chapter grabbed my attention. Even though her book focuses on future-ready skills for secondary students, her observations completely apply at the elementary level. So, the question I’m now asking myself is what tools do we have at our disposal if email is not an option? Lisa gives several examples in her book that provide curricular connections such as emailing an expert or having students maintain the classroom newsletter. Another option would be to build this communication piece through consistent feedback loops via Google Classroom. Alice Keeler describes here how she uses private comments as actual assignments. This allows students to replicate a digital conversation in a meaningful way that is centered around their own learning. Modeling this type of digital interaction will definitely prepare our students for what lies ahead in the secondary classroom as well as the workplace. What’s New in Google Earth? One of my favorites was created by PBS Education called Explorers: Age of Encounter. Students are able to travel back in time to the late 15th and 16th centuries and follow the routes of 6 explorers that changed the way people viewed the Earth and interacted with each other from different countries and continents. One way to turn this into a collaborative project would be place students into 6 groups using Alice Keeler’s Group Maker for Spreadsheets. Each group can choose an explorer to research and document their findings in the spreadsheet. Once research is complete, the class can create one collaborative Google Presentation explaining how these encounters set the course for the modern, globally interdependent world. Increase the DOK level by asking them to describe an alternative history had these explorers not discovered new worlds and civilizations. There are many guided tours available, so I encourage you to check out this section by clicking on the ship’s wheel icon located on the navigation toolbar on the left.